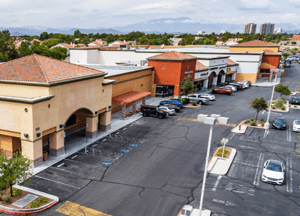 Vape City signed a 62-month lease for 900 square feet of retail space at Las Palmas Village located at 445 E. Windmill Lane, Suite 2F, in Las Vegas. Robert S. Hatrak II of Virtus Commercial represented the lessor, Las Palmas, LLC; and Allen Jenkins of Virtus Commercial represented the lessee in the transaction. A proven, agile approach to commercial real estate.